Riding The Fire is the biography of businessman and pilot, David McCulloch, whose adventures around the world are covered in this book. 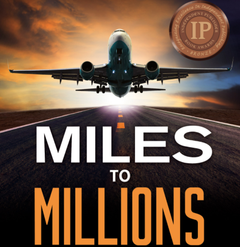 McCulloch uses his skills as a pilot to make his fortune and grab adventure where he finds it. With nearly ten thousand hours in his pilot’s logbook and several dozen aircraft purchased over the last 50 years, he lives to fly and flies to live. He is comfortable flying propeller driven or jet powered aircraft. 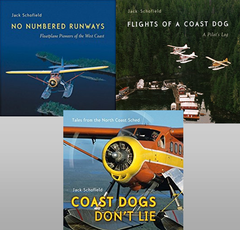 McCulloch cut his teeth on flying sales trips into Canada’s Yukon, North West Territories and Alaska in a Cessna 150 and a Cardinal. Not content with that he used his planes in South America. He flew across the Atlantic via Labrador, Greenland, Iceland to England so he’d have the aircraft to travel around Europe; London, Paris, Spain, Rome and then Africa. He stacked up over 180 countries in his travels. Then he thought it would be a good idea to circle the North Pole. All of his trials and tribulations are related in this biography that reads more like a novel; a rags to riches saga. From small prop planes to fighter and business jets. McCulloch always reaches out for the next business or flying adventure. His life is one of escapism from the bindings of normal everyday living.